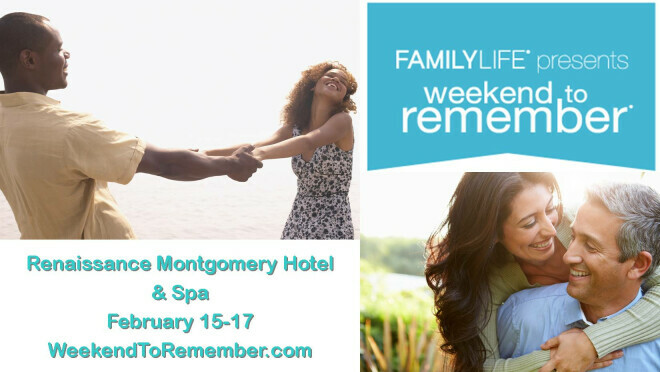 Family Life will be hosting its Weekend to Remember, a marriage getaway, in Montgomery on Friday through Sunday, February 15 through February 17, at the Renaissance Montgomery Hotel & Spa. The weekend combines general sessions with designated times set aside for projects to complete as a couple. Registration is required and may be made online. In partnership with Family Teams for Christ, there is an opportunity for a limited number of military and first responders to have their special registration fee reimbursed. To learn more, call 334.462-5227.